What Rick Perry has achieved in his inaugural strut on the political stage is unprecedented in the annals of modern conservative history from Barry Goldwater to Sarah Palin. It is not just that the Texas governor has dominated the news cycle, overshadowed the Iowa Straw Poll, vaulted over every GOP contender except Mitt Romney in the national polls, and reduced Karl Rove to sputtering frustration. All that is admittedly impressive for a first-time candidate whose name was familiar to only half of Republican voters just a few weeks ago. 1. Anti-Intellectualism. Liberals revere high SAT scores. That is why it is no accident that, over the past century, the Democrats have nominated for president five former college or law school professors (Woodrow Wilson, John W. Davis, George McGovern, Bill Clinton, and Barack Obama) plus Hubert Humphrey, who was a graduate teaching fellow while working on a Ph.D.
More ominous to progressive values is that Perry, as governor, has tried to run the state university system like a business, seemingly unaware that the European history program should be held to different standards than, say, the animal science department. Texas A&M, now headed by a former Perry chief of staff, actually rated professors based on whether they brought in more outside funding than they cost. 2. The God Card. Liberals should be nostalgic for the days when Ronald Reagan frequently invoked a non-denominational deity but rarely attended church. Even George W. Bush’s public religiosity was connected to a compelling biographical narrative—embracing Christ gave him the power to stop drinking. But Perry, far more than Huckabee during his 2008 campaign, seems willfully oblivious to the reality that his personal theological beliefs are not universally held, even within the modern Republican Party. In April, as Texas suffered from a deadly combination of wildfires and drought, Perry issued a proclamation calling for three days of prayer for rain. And at his 30,000-person prayer meeting a week before he declared his candidacy, Perry embraced “the living Christ” and the “salvation agenda.” This evangelical rally was held in Houston, the same city where John Kennedy gave his famous full-throated defense of the separation of church and state during the 1960 campaign. 3. The Living Constitution. The GOP presidential field has more self-appointed constitutional scholars per capita than any group since the Founding Fathers assembled in Philadelphia. Not too long ago, Bachmann refused to fill out the entire 2010 Census form because she contended that it went beyond constitutional requirements. But even by these standards, Perry stands out for his creative cut-and-paste approach to the Constitution. With the exception of the states-rights claims of the Tenth Amendment and the right-to-carry provisions of the Second Amendment, it seems like the rest of the document is more or less fair game to the governor. In an interview last year, Perry raised doubts about whether the Social Security system was constitutional. And in his book, Fed Up!, Perry ominously claims, “With the passage of the Sixteen and Seventeenth Amendments, states handed over a significant chunk of their sovereignty and wealth to the federal government.” Not since the days of William McKinley or even earlier has a serious presidential contender warned about the threat of a federal income tax and the direct election of senators. 4. Pistol-Packing President. For Eastern liberals (myself included), nothing is more baffling than the desire to carry around a metal cylinder with a trigger attached that could easily kill someone. This may explain why debates over gun control often seem far more cultural and theological than discussions of, say, tax policy. 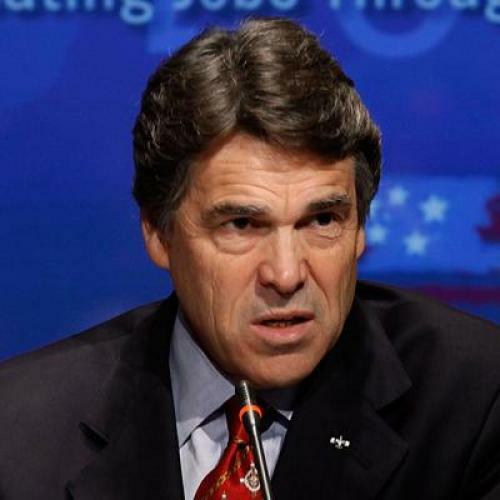 What distinguishes Perry from his GOP rivals is the enthusiasm with which he embraces the lock-and-load ethos of the West. The Texas governor’s definition of academic freedom extends to his support of legislation that would allow college students to carry concealed weapons on campus. And Perry doesn’t just talk the talk; he also shoots the shot. While jogging last year in a heavily wooded area of Austin, Perry nailed a menacing coyote with a pistol that he carries during his workout routine to ward off snakes. 5. Daring to Call It Treason. Right-wing firebrand Ann Coulter violated one of the few remaining standards of acceptable political discourse when she titled her 2003 book, Treason: Liberal Treachery from the Cold War to the War on Terrorism. Coulter undoubtedly knew that shouting “Treason” in a crowded bookstore would conjure up the specter of a new McCarthyism. This explains what was so scary about Perry’s claim that Ben Bernanke would be “almost treasonous” if he persisted in loosening monetary policy to ward off a double-dip recession. The combination—tarring the ultimate middle-of-the-road authority figure (Bernanke) with one of the most diabolical words in the political lexicon—proved poisonous. In contrast, Bachmann has been a far more disciplined campaigner, never resorting to this kind corrosive rhetoric against anyone not named Obama. Based on his ten days as a candidate, the Texas governor lacks an internal governor to modulate what he says in off-the-cuff settings. Even on his best behavior in New Hampshire last week, Perry could not stop at the right-wing talking point that the scientific case for global warming is unproven. Instead, Perry had to go the extra conspiratorial step and claim, “There are a substantial number of scientists who have manipulated data so they will have dollars rolling into their projects.” Next time around, Perry might well call these supposedly corrupt climate scientists, who only exist in right-wing mythology, “almost treasonous” as well. But whatever his underlying beliefs, Perry could give both Bachmann and Palin lessons in liberal baiting. The swagger and the bristling self-confidence suggest a political leader who is often wrong, but never in doubt. It is all so reminiscent of another wrong-way-Corrigan president. Intellectually, it is easy to remember the Texas-sized enmities that divide the Bushies and Perry. But emotionally, every time liberals hear that Perry twang and those dropped “g’s,” the instinct is to quake at stumbling into a horror-movie remake entitled, Mission Accomplished 2: Return to the White House. Politics, Barack Obama, Barry Goldwater, Bill Clinton, George McGovern, John W. Davis, George W. Bush, Karl Rove, Hubert Humphrey, Paul Ryan, Michele Bachmann, Mike Huckabee, Sarah Palin, Rick Perry, Woodrow Wilson, Harvard, Republican Party, Medicare, Texas A&M, Yale, Iowa, Texas, Ph.D.